It is likely that words like boring, uptight, complex and inflexible come to mind. In fact, the insurance industry has one of the least positive reputations, according to the annual Reputational Quotient (RQ) survey from Harris Interactive. Just 29 percent of people rate the overall reputation of the insurance industry positively. Only tobacco, the financial sector and airlines have worse reputations. Hence, marketing an insurance website begs the question: How do you improve the perception of an “unexciting” business in an industry with a bad reputation? 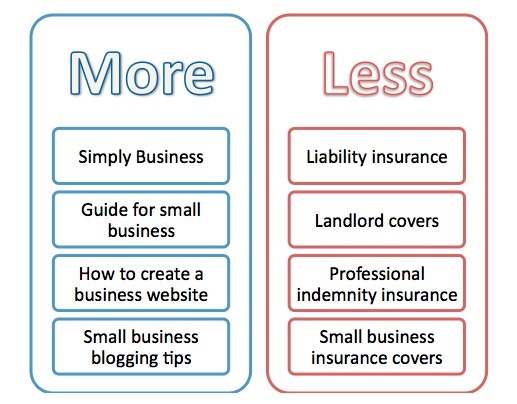 This is the dilemma we faced at Simply Business less than 12 months ago. We were struggling to increase the number of visitors and conversions on our website. Our marketing strategy (focused primarily on product advertising) was clearly not working. We were in search of fresh ideas that would help us reach a larger audience and keep our customers more engaged with our brand. After much research and debate, we realized content marketing might be the answer. We developed content that was applicable to our visitors’ needs and easy to understand. As a result, we experienced significant improvement in search engine rankings, traffic, and conversion rates. If you run an organization in a typically “boring” industry with a suspect reputation, this is for you. Below are our recommendations for implementing a successful content marketing strategy, no matter how boring your industry is. At the beginning of 2012, the marketing team from Simply Business met with the team from Distilled (our digital agency) to discuss new marketing ideas. We were motivated to do something different because our previous efforts failed to generate much interest or improve our analytics. Our content at the time focused on news and advice articles that were often difficult to understand, irrelevant to our audience, and/or inconsistent. Most importantly, the content we produced was not applicable to real-life problems our customers faced. The meeting was progressing slowly because every idea put forward struggled to gain traction. We were stuck on the notion that we needed to make sure to somehow integrate the content we developed with products we offer. Then, a basic question was raised: “What is Simply Business?” We explained we consider ourselves the U.K.’s small business champion. From that, a Distilled employee was struck with an idea: Why don’t we become the small business champion by developing useful content for small businesses around their most pressing concerns and frustrations? Takeaway: It is important to spend time “contemplating” the story behind a brand and what it truly stands for. What is it that you want to say at the most fundamental level? Whether you are a tiny business with two employees or a global brand, you need to be committed to developing content that reflects your brand. Tip for getting started: Look up your company mission statement and then look through the content you recently developed (a content audit wouldn’t hurt). If the two don’t align, get together with your team and come up with a more cohesive plan. This might seem straightforward, but consider this – how do you explain to your CEO that you will produce content absolutely unrelated to your insurance products and, in consequence, content that will not be linked to your product pages? It is impossible to guarantee if and how any particular expenditure on developing such content will increase sales revenues and be worth the investment, so when you work in a typically risk-adverse industry you need to bring forward a strong plan and case studies. We presented our CEO with a detailed road map focused on aligning our content with the company mission. We emphasized the usefulness of the content we would develop: We want to give our customers tools that will help them manage their small businesses. These tools will strengthen our customers’ businesses and will, in turn, directly influence customer retention and conversions (these will be the measures of our success). To ensure we were giving small businesses the tools they wanted and needed, we outlined a plan for conducting keyword research to ensure our content was what they were searching for higher up the funnel. Because remember, up until this point we were only creating content that was further down the funnel, when users were looking to purchase our products. We needed to show our C-Suite that we were missing vital opportunity to attract new business by getting customers in our funnel during the earlier phases of their decision-making path. After some debate (“How will we track it?” and “But it costs too much!”), management accepted our plan and our new campaign was born: Build trust among small businesses by becoming the No. 1 destination for expert advice. How will the company mission be reflected in the content? How will we help our customers become more successful and/or happier? How will we know exactly what our customers need and want to be happy? What specifically is the plan (think road map)? Who will own the project to make sure we stay on track? Our customers are business owners who are experts in their particular field/trade. However, based on customer surveys we conduct regularly, the majority of small business managers find it difficult to understand all the caveats of running a business and struggle to discover useful resources that would make their lives easier. Following the meeting with Distilled, we circled back to customer surveys and compiled a list of topics our users frequently mentioned and paired it with keyword research. From the list we were able to extract three main themes that the team decided our content should embody: applicability, consistency and usefulness. Takeaway: Review the content you currently produce. Is it applicable for your target audience? Is it useful – meaning can your users take immediate actions that will benefit them or their business? Finally, is it unfailingly high quality and reliable? If your existing content fails to deliver on one of these fronts, come up with a plan to remedy the situation. You do not want to develop useful and high quality content that is not applicable to your audience. 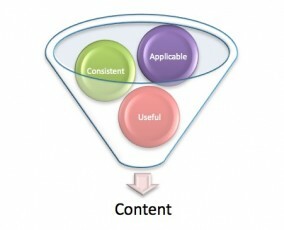 In order for content strategy to work, it has to work on all three of the mentioned levels. The inbound marketing team immediately noticed that it was easier to outreach the guide than it had been to pitch the previous, usually product-related content. We received more than 50 placements, which was far more than our usual amount of coverage. The content also gained immediate social traction, with thousands of tweets and “likes” within just a couple of hours of launch. Of course, no one could prove the one successful content campaign was the sole reason for improved organic visibility. However, this did prove we were on the right track and should stick to our new content strategy. In addition, we now rank for keywords that relate to our content pieces – those long-tail, top-of-funnel keywords we determined were relevant to our audience during that initial research phase. Thanks to this, we are able to expose our brand to new potential customers who might not have heard of us otherwise. Finally, our conversion and retention rates improved significantly since we launched the new content campaign. Our overall first-visit-to-buy conversion is 6 percent higher today than it was at the beginning of the year. We also learned that existing customers who viewed one of our content guides were much more likely to renew their insurance policies (by as much as 30 percent) than those who had not. At the least, this tells us that users who are more engaged with our brand and content are happier to spend more money on our products and become loyal customers. Takeaway: Analyze the visitor data for your existing content. You can look up stats such as bounce rate, time on site and goal conversion. Have your analytics been improving over time? If not, this could suggest issues with applicability, usefulness, or consistency. 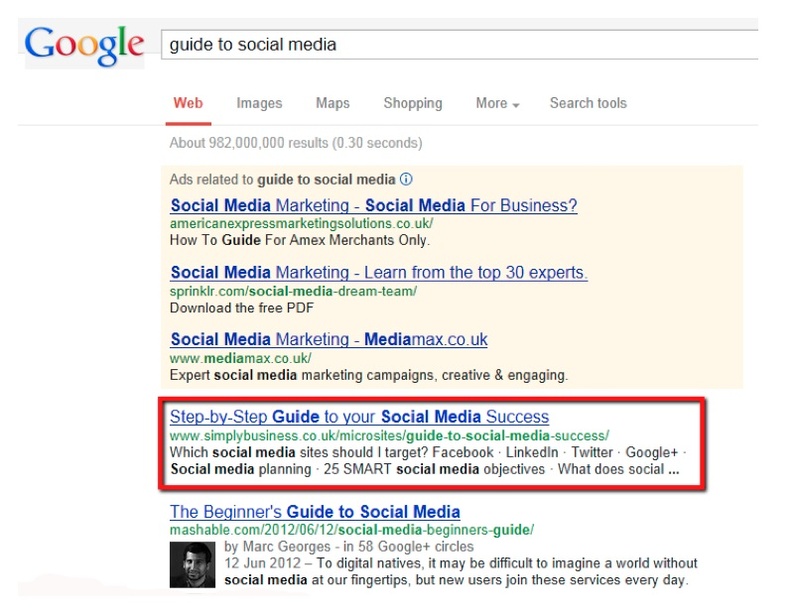 Review your search visibility. Does your content rank well in search engines for keywords higher up the funnel? Have product-related keyword rankings also improved? What traffic changes are attributed to these movements in rankings? Lastly, map any movement in rankings to changes in conversions – what does your analytics tell you this new traffic did when it came to your site? If visitors spent money, then you know your content plan is working. In an industry steeped in tradition, it is not always easy to break away from widely accepted tactics… even if they have not worked very well in the past. Deep-rooted SEO practices often link content creation with company products. What we learned is that content should address topics throughout the conversion funnel and not just at the purchase phase. The retention strategy should be more than just product support. Offering utility to your customers beyond what is in your product/service box is now a necessity if you want to grow online (and beyond). A content strategy needs to focus on building trust, which in turn results in higher customer retention. There is no way to do this properly if the sole purpose of content is to make your audience more aware of your products or services. Content we create should always have some common denominator. For us this means that every content piece we create should convey one simple message: We are the small business champions. Consistent messaging allows us to build trust in the brand and in what it represents. Our industry does not have to be boring and unapproachable. Our customers and visitors know they can buy insurance from us, but they also know we offer expert advice that is easy to understand and access. Because of this, they visit us often and enjoy spending more time on our website. In turn, they are more likely to buy our products and recommend us. In conclusion, if you think there is no way to implement a successful content strategy in the industry that you are in, think again. Brainstorm what it is that your audience is looking for and fill the gap with thorough research before your competition does. Good luck! For more case studies of brands that are finding new success with content marketing, read CMI’s Ultimate eBook: 100 Content Marketing Examples. Lucjan Zaborowski is a Marketing Consultant at Simply Business, advising the company on online optimization and user experience projects. He has worked with firms in the United States, Poland, and the United Kingdom on growing their online presence via lean strategy. Lucjan holds a Master's Degree in International Marketing from Boston University and is also a certified project manager with extensive experience in supporting large scale IT deployments for companies such as Dell, IBM, and Microsoft. Follow Lucjan on Twitter @GOcontent.